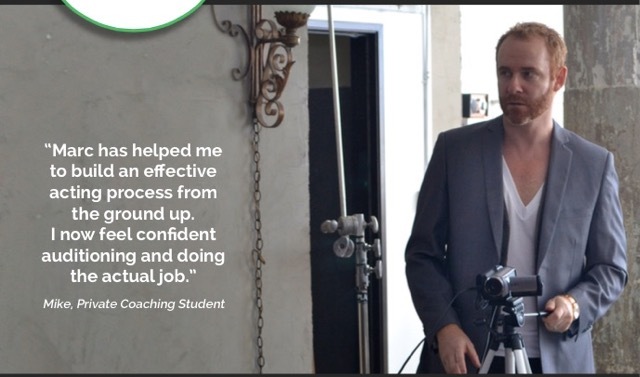 Every actor has the potential to be their most Dynamic Self on camera. The question is: do we have easy access to our talent and a strong camera technique to allow the viewer to fully experience us on screen? The workshop answers those questions in two fundamental parts. We concentrate on your Creative Process as an actor. - We don’t have much time to rehearse and explore once we’re on set or in the audition room. effectively with a simple and concrete approach that brings us to life. That is the focus of our first day: building a Creative Process that will be consistently effective for the demands of film and television. On sunday Casting Director Uwe Bünker will join the class and share his feedback on the material. All these elements function in a specific way on camera and when we use them successfully, we allow our most Playful, Passionate, Precise and Powerful self to flow through the character we’re playing. 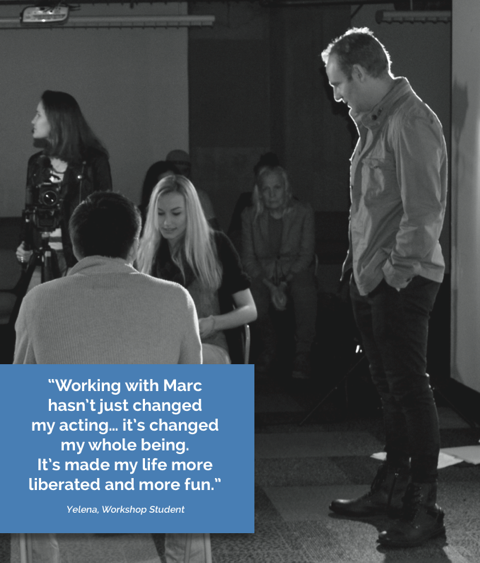 Before the workshop, you can send your showreel and/or headshots and Marc will personally pick a scene for you to do during the workshop that he feels is suited to your needs. At the end of the workshop you will also receive a copy of your footage from the workshop.